"I marvel at the resilience of the Jewish people. Their best characteristic is their desire to remember. No other people has such an obsession with memory." Torah scrolls are like a person’s fingerprints – no two are alike. While the text may be identical in each of them, the hand-written Torah is unique to the scribe, the synagogue and the community which are privileged to be its keeper and protector. 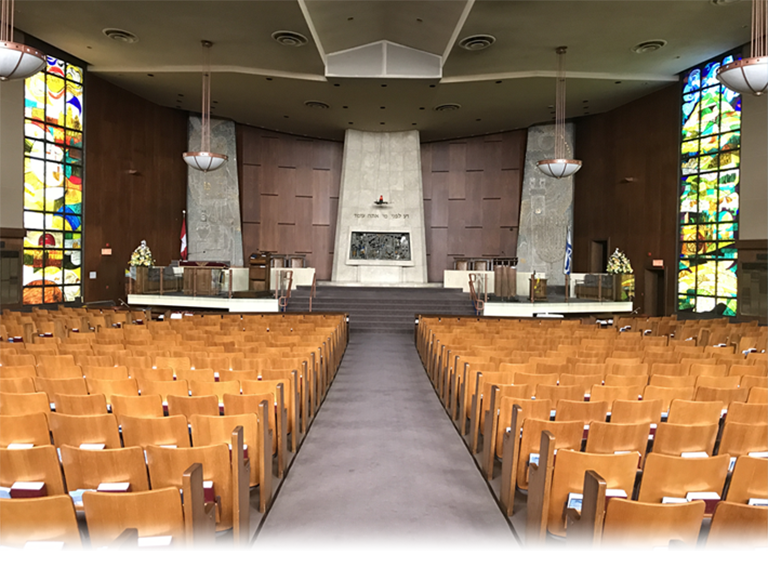 One such Torah, kept at the Adath Israel Congregation in Toronto, Ontario, Canada, is a repatriated Torah from the Rousinov Synagogue in the Czech Republic. Jews have lived in the Czech Republic for more than 1,000 years, arriving in the ninth century. 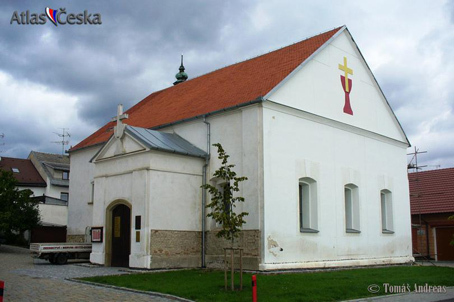 The Rousinov Synagogue was built in a Renaissance-Baroque style in 1597 and more recently rebuilt in 1842. By that time the Jewish population had reached about 1,200 – representing one half of the town’s residents. 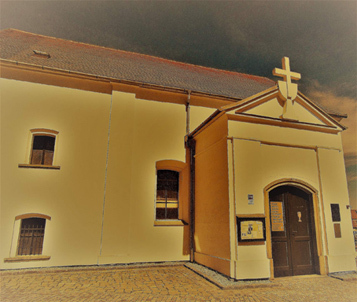 After World War II, the shul had served out its purpose and was converted to a Hussite Church in 1949. 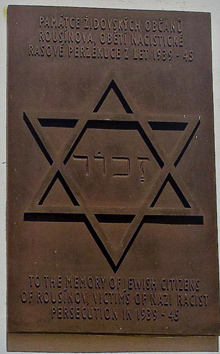 A plaque honouring victims of Nazi persecution was dedicated in 2006 and remains on the front wall of the chapel. For more information about Novy Rousinov, please click on the following link: https://goo.gl/SJUzQF . This Holocaust Memorial Torah at Adath Israel Congregation is in a special Holocaust memorial alcove where it is prominently displayed, befitting the honor which it brings to the congregation. As such, it holds a special place in the hearts and minds of its congregants. This Sefer Torah is on loan from the Memorial Scrolls Trust based in London, England, one of 1,564 that were saved from Jewish communities located in Bohemia and Moravia. Information about the Memorial Scrolls Trust, can be found on their website at: http://www.memorialscrollstrust.org/ . To the right and above are 2 views of the Novy Rousinov Synagogue Below is a plaque on the side of the building memorializing the Jewish residents of Rousinov who were victims of Nazi racist persecution.